Far too much energy is wasted on analyzing the banking system to death. The key to understanding its machinations is seeing that it is one global system, controlled and directed from the top down. Shifting blame from Government to Central Banks to Wall Street is just a distraction. Endless analyses of exactly who is to blame for what is filling the columns of both the mainstream- and alternative media. Is it Wall Street, the Central Banks, derivatives, politicians, economists, greed? This article by the Daily Bell is a typical example. In the article the Daily Bell correctly analyzes that the Central Banks are trying to generate a world wide depression. However, they present the Central Banks as a statist operation, messing up the operations of free market players, which would be the banks. The problem with this is, that the Central Banks and the commercial banks are owned by the same people. 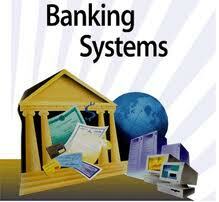 The banking system must be seen as a whole. It includes all the Central Banks, all major commercial banks, BIS, the academic world 'studying' economics and finance and the financial press. The Daily Bell is right to say that they are engineering a depression. They are wrong to suggest that the CB's are responsible for this while the banks are not. Yes the banks are on the receiving end of the CB's, but they're all just mere links in the chain of command and control. Central Banks were created by the banking community as lenders of last resort because they went bust so often. They needed the CB's to maintain a certain stability within the system, otherwise they would not have been able to maintain their monopoly on currency. Nowadays CB's are all powerful financial juggernauts allowing the Money Power full control always. They don't care about some of their banks going bust occasionally, because they are just the vehicles dividing the market among them. Their market control remains 100%. When the CB's do things to hurt creditors (the big banks) they do so to damage their balances and their ability to lend. In this way the illusion of real forces creating a depression is created. It's the same thing with the BIS raising capital reserve requirements. They know this means depression, but their sell is 'stability'. The instability they created by purposefully allowing the banks to leverage ever more only a decade ago is conveniently forgotten by well paid academics and journalists who most people think are on the lookout for these kind of things. Stagflation is easily created by combining the deflationary bust with rising prices for commodities through speculation. These price rises then eventually attack the whole economy already strapped for cash. In earlier times bankers just published an advertizement in their Banker Magazine telling their members at what date to start calling in loans. In this way contracting the money supply and creating a deflationary depression allowing them to buy everything up for pennies on the dollar. Nowadays things are a little more convoluted. But for the few men controlling the system it is not. They just order: 'create depression now'. Their executives push the buttons and voila. And yes, it's a gigantic control grid and very complicated and it is very difficult for them to maintain control. But it still is a system, being worked. And those that work it are the most powerful men in the world. When we realize how the system is controlled in this way, it is also easy to understand that a 'free currency market' is also easily controlled top down. Massive funding for Gold based currency, support from the media, the academics, political pressure. A real onslaught that will quickly conquer the maiden 'free market'. Then the easy contraction of the money supply at will by controlling world Gold reserves. The Banking System is One. It is controlled top down. Those that control it are the Money Power. It's global and it rules finance. It dominates every Government on the planet through it. Its basic operations are simple: maintain monopolistic control of the money supply. Provide credit at interest. Create a boom/bust cycle by inflation and deflation. Finance those under control or to be brought under control and starve the rest. Translate this financial omnipotence to Global Despotism. The implementation of these basic policies have become more complex during the last century. But for the controllers little has changed. This is basically all we need to know about the problem. There is no need to endlessly analyze what the CB's are up to now or what Goldman Sachs is doing next. They're busy doing what they've always done. End the Fed will not threaten the "money lenders" reign over the debt slaves. The PRIVATE Fed owners will willingly break themselves into 1000's of PRIVATE banks that do the exact same thing they do now. They can destroy nations with interest/usury/riba on gold/silver/paper/digits. They can also enslave nations with big government, small government, or no government. USURY is the problem, not all the patsy issues.